But an innovative program offered by Visiting Nurse Association of Ohio makes it possible for some patients to avoid the in-patient stay and receive daily therapy at home instead. VNA of Ohio’s Therapy Connect is available to patients who are able to maintain a certain level of independence or have sufficient support from family caregivers. Therapy Connect was developed to address the needs of patients recovering from total joint replacement surgery, but the program is proving to be a popular option for patients recovering from a wide range of orthopedic procedures, said VNA of Ohio physical therapist Mindi Thal. "It gives patients and their families comfort to know that they can stay in the comfort of their home and still get the therapy they need to recover," Thal said. "Surgery is new to them. They don't know what is normal, what should or shouldn't be happening. It's scary for them." Most homecare agencies are unable to maintain the staffing levels necessary to accommodate the daily therapy requirements of post-op orthopedic patients, Thal said. But VNA of Ohio is able to get a physical therapy team to a patient's home within 24 hours of discharge from the hospital. Typically, homebound patients who receive home-based physical therapy services as ordered by their physician to receive one or two therapy sessions per week. But for those recovering from orthopedic surgery, getting mobile as soon as possible is necessary to prevent blood clots, lung infections as well as loss of strength and function that could lead to further complications. "We can do just as much at home as they can do in a rehab facility," Thal said. 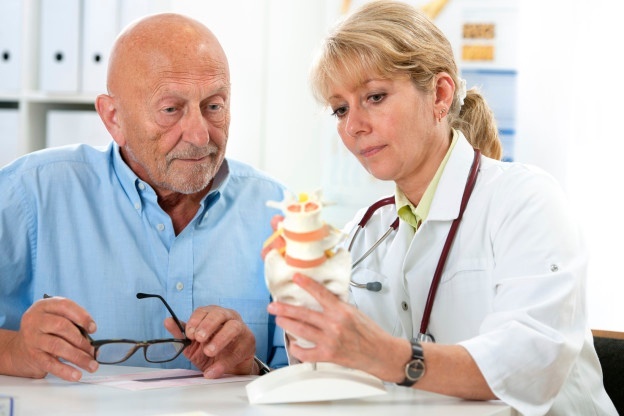 "We help keep that connection with the orthopedic doctor to make sure the patient gets back for follow-up." VNA of Ohio specializes in a continuum of homecare, which means that patients who utilize Therapy Connect home-based rehab services following surgery will have access to other services they may need as they transition out of daily care. "After those initial two weeks of daily rehab, we can help set a course for continued care," Thal said. "If the person is still struggling a bit and is still considered homebound, we can help coordinate and link the patient with different homecare services." Patients appreciate the option to avoid an extended stay in rehab, and their physicians value the close monitoring and the ability for their patients to avoid the institutional germs and viruses during the critical period of recovery. "For the people who have the right support system, it is definitely better to recover at home," Thal said. "They can be on their own schedule, eat their meals when they want, get up when they want and sleep in their own bed. It is more conducive to healing than being thrown into a system and a place they are not used to."